Every smile starts with a new patient consultation! Your new patient consultation will give you the opportunity to meet our team, learn more about orthodontics and receive a complete complimentary initial exam. Please contact our practice to schedule your initial consultation. What happens after the initial new patient consultation? Answer any questions you may have about treatment--we are happy to provide all the information you need to determine which treatment is right for you! 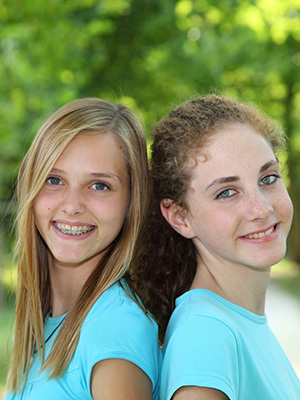 Visiting our office about every eight to ten weeks is an essential part of your orthodontic treatment. Our practice will work with you to make sure your appointments work with your schedule. We understand that “life happens”! If you’re running late or need to reschedule, please let us know and we will do everything we can to accommodate you. When you’re ready to schedule your first appointment, contact our practice and one of our friendly scheduling coordinator will assist you. We’re looking forward to working with you! It is vital that you continue to visit your family dentist once every six months for cleanings and routine dental checkups, especially during your orthodontic treatment. If extra dental care is needed, we will be happy to coordinate with your family dentist to make sure you receive the best possible care.